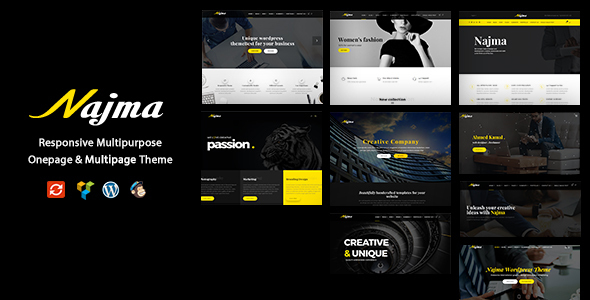 Najma is a creative wordPress theme used for corporate site, blog site, agency, photography, ecommerce site, portfolio and many more. With stacks of layout designs, user friendly Theme Options and rich Drag and Drop content builder to help create your perfect site in minutes. Unlimited Colors With just one click you can change the colors and update the included SASS file. One-click Demo Content Import Install our demo data with one click. After the installation you have just to add your content. Super simpleMegamenu and Drop Down menu.